Register your Smart Pet Tags and setup your pet's public profile. 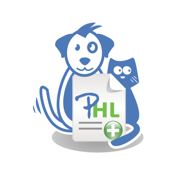 Manage all of your Pet's health and wellness records in one place. Add Immunizations, Medications and Veterinarians and use the camera to take pictures and upload documents. Your documents (like immunizations) can be emailed to texted to anyone from PetHealthlocker.